President Jimmy Carter's boyhood home in Archery, Georgia is part of the Jimmy Carter National Historic Site. President Carter lived here from the age of four until he left for college. The farmhouse was owned by Earl Carter, Jimmy's father, from 1928 until 1949. This farm was sold by Earl Carter to T. Richard Downer in 1949. The Downer family owned the property until 1994 when it was purchased by the National Park Service. President Carter at the dedication. Photo courtesy of Associated Press. "This house is actually from Sears Roebuck. Mr. Sears, back in those days, sold a ready-made house, in that you could order a particular design that was shown in the catalog and a few weeks later in a boxcar at your home railroad station your house would arrive with everything in the boxcar that was needed: nails, doors, windows, locks, all the boards, all the foundations, and so forth. And he obviously charged for that. But if you had your own woodlands and didn't want to buy lumber from someone else he would give free of charge the basic design all the plans, detailed plans. And so this house was a Sears Roebuck designed house." 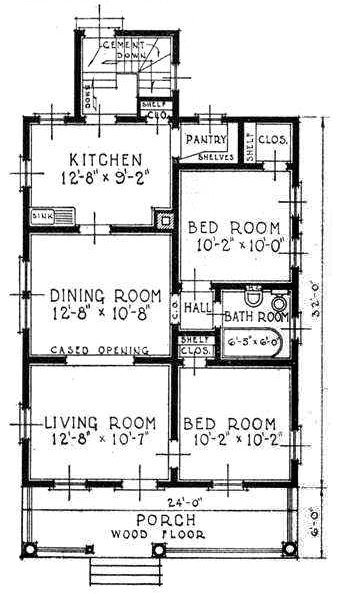 According to President Carter, the house is not a Sears kit home; however, it was built using plans from Sears. 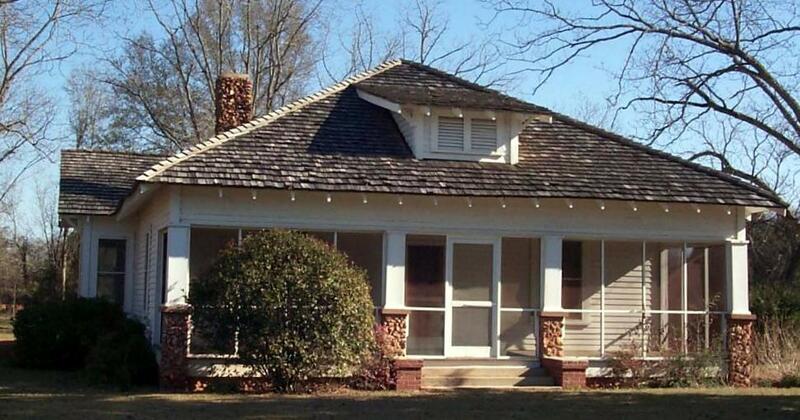 Is President Carter's boyhood home a Sears house? Let's take a closer look. Earl Carter did not build the house. The original owner of the house was John Franklin Plexico. According to Plexico's son, the house was constructed in 1922, and it did not have electricity or plumbing. County records support this date. Plexico's son never mentioned to interviewers that the house was a Sears design. The National Parks Service was unable to locate the house's original plans or any information on construction details. 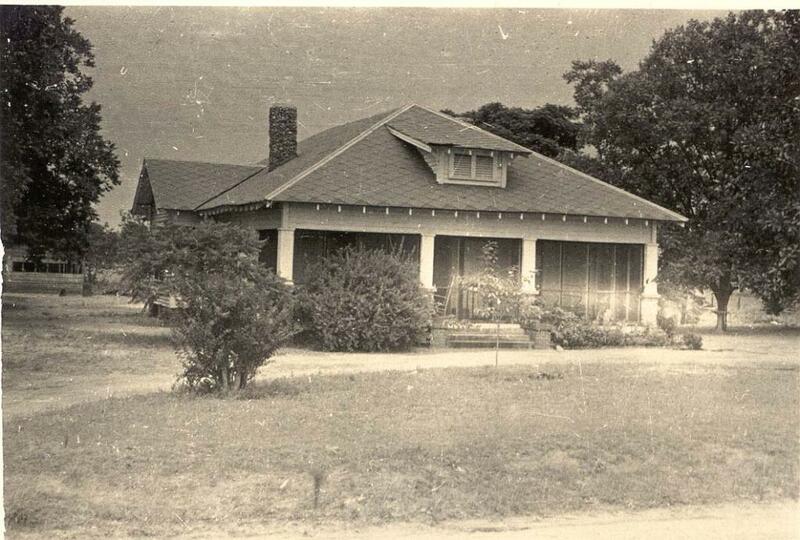 The house in the 1940's. Photo courtesy of the National Park Service. The Carter bungalow is wood framed and has a hipped roof. It is cross-gabled and has bump-outs on both sides. The front has a shed dormer. The house features two fireplaces, one on each side of the house. The columns in front are stone on the bottoms. The chimneys are stone. The house is spacious, with exterior dimensions of about 56' deep and 39' wide. There is no marked lumber in the house, which would indicate that the house was from a kit. Is it a Sears Model? I don't believe the house was built according to Sears plans. There is no evidence in their sales collateral that Sears ever sold their standard plans around 1922. They included the plans only as part of a house kit. The big money for Sears was in the building materials. Further, the house does not match any of the known models that Sears offered for sale. The National Park Service suspects that the Carter house is a Sears Starlight. Do these look like the same house? The obvious difference between the two houses is the size. The Sears Starlight is a small bungalow: 24' wide by 32' deep. The Carter house is much larger: 39' wide by 56' deep. The layouts of the two homes are entirely different. The Carter house had two fireplaces, a different floor plan, and two bay windows on each side of the house. The Carter house does not match any of the Sears designs. 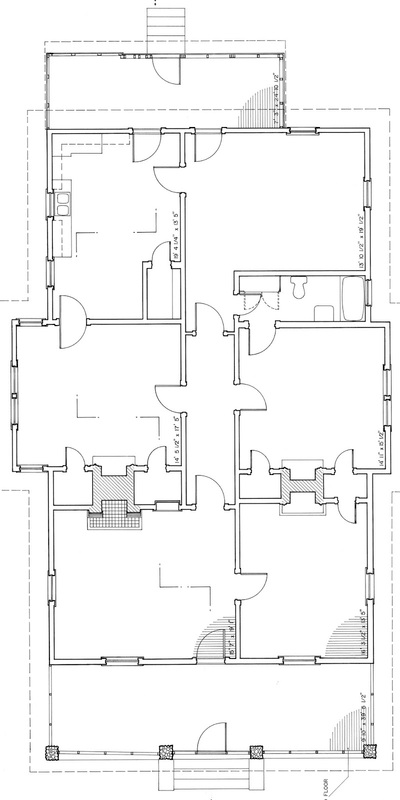 It is possible that the house plans were not from Sears, but from an architectural plan book. Plan book companies only sold house plans, and not building materials. Often plan book houses are mistakenly called Sears houses. I do not recognize the model as being from a plan book, but there were hundreds of them in the 1920's. I think the most likely explanation is that the house plan was not from Sears, but the building materials were. Sears would sell millwork, lumber, shingles, and pretty much everything else you would need to build a house. 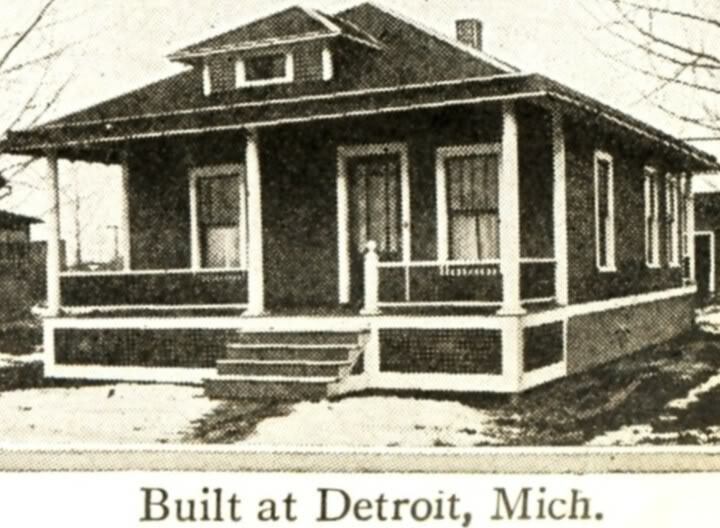 Many customers across the country used their own plans and had Sears ship the lumber or other materials to their site. Since these were not house kits, the lumber would not be pre-cut and would not be marked. There's no way to prove building materials were from Sears, so all we can do is speculate. The President sounds definitive about the house being a Sears house, but he only knows what he was told by his family via the original owner. As the story got passed along I think it got jumbled--the plans were not from Sears, but the materials were. Oral history does not always lend itself to accuracy. For more photos of the Carter house (inside and out), see this site. To read about another President's boyhood home, click here.